music. : This Kansas Moment, The SemiFinals US Barista Competition Mixtape, Kansas City. On Day Two, the audience heard the plight of specialty coffee in relation to falling C Market prices, saw the weather conditions of a coffee farm that create great coffee mimicked in aromatic fogs, learned about the value of story to providing context for customers to connect to coffee. Naida Lindberg (Verve Coffee) pulled her espresso in frozen glasses, Jenna Gothelf (Counter Culture) employed a centrifuge on stage to make a signature beverage while giving memorable one-liners and Cole McBride (Ada’s Discovery Cafe) chilled his portafilters for then minutes before pulling shots into them. Freeze distilled milk was a theme again today for milk drinks, it was created by Samantha Spillman of Dillanos Coffee Roasters, Kay Cheon of Dune Coffee Roasters as well as, T. Ben Fisher of Elixr Coffee who also had frozen coasters while also creating a vapor on stage. Drinks were cold pressed by Andrea Allen (Onyx Coffee Lab), put into a vacuum blender by Emily Orendorff (Boxcar Coffee) and under an ultraviolet light by Cole McBride. Isaiah Sheese of Archetype Coffee gave judges red seeing glasses so they could imagine what coffee would be like without color – a future result if catalyst for change social and environmentally doesn’t occur. Kay of Dune Coffee employed liquid chromatography and Austin Amento (Augie’s Coffee) found a clever way to introduce Colombia’s cultural aguardiente into his non-alcoholic presentation by sipping it post his routine. The visuals peaked when Sam of Dillanos made an orchid aromatic mist in homage to the fog that occurs at La Palma y El Tucan, the farm responsible for her coffee. Music remained synergetic with baristas story and themes. Emily of Boxcar talked about balance between espresso and milk to Broken Chords SZA, Michael Ragler (Counter Culture) talked about the secret language of the coffee industry, using words that aren’t understood by the masses to ‘Secrets’ Alicia Keys and Cassie of Small Planes shared sweet caramel milk drinks to ‘Bitter With The Sweet’ by Carole King. Through story, competitors charged us with foggy theatrics, stories of their grandfathers, and how their origin trip impacted their journey to becoming a coffee professional. Here is a sonic cartography of the semifinals. Press play. 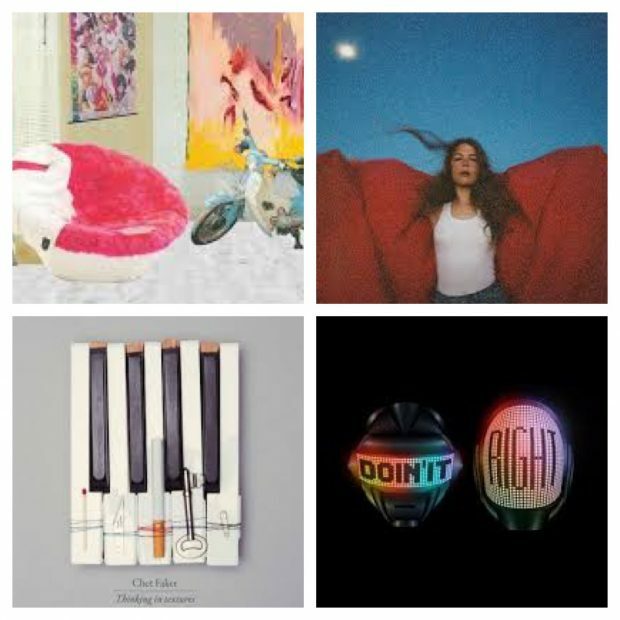 This entry was posted in Music and tagged Adas discovery coffee, agues coffee, archetype coffee, counter cultulre, counter culture, dillanos, dune coffee roasters, la palma y el tucan, small planes dc, verve coffee. Bookmark the permalink.